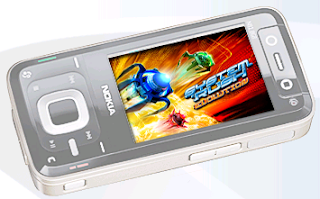 Nokia has released the official release of the highly anticipated N-Gage gaming software for NSeries. N-Gage 2.0 is supported on N95, N95 8GB, N81, N81 8GB and N82 with support for the N73, N93i and N93 coming soon. N-Gage is offering 5 titles with a free trial of each today and 14 titles marked coming soon. If you have one of the supported phones, download them and check it out. N-GAGE is my favorite mobie.It has been specially made for playing games.